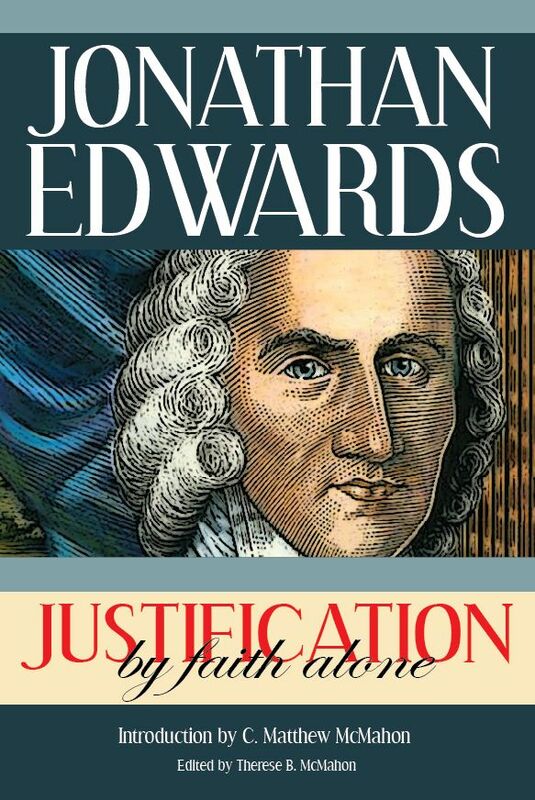 Edwards teaches that ’Tis the most absolute and indispensable duty of a people of God to give bountifully and willingly for the supply of the wants of the needy. Subject: ’Tis the most absolute and indispensable duty of a people of God to give bountifully and willingly for the supply of the wants of the needy. THE duty here enjoined, is giving to the poor. “If there be among you a poor man of one of thy brethren, thou shalt not harden thine heart, nor shut thine hand from thy poor brother: — Thou shalt surely give him.” Here by thy poor brother is to be understood the same as in other places is meant by neighbor. It is explained in Lev. 25:35 to mean not only those of their own nation, but even strangers and sojourners. “And if thy brother be waxen poor, and fallen in decay with thee; then thou shalt relieve him: yea, though he be a stranger, or a sojourner.” The Pharisees indeed interpreted it to signify only one of their own nation. But Christ condemns this interpretation, Luke 10:29, etc. and teaches, in contradiction to their opinion, that the rules of charity, in the law of Moses, are to be extended to the Samaritans, who were not of their nation, and between whom and the Jews there was the most bitter enmity, and who were a people very troublesome to the Jews. Men are exceedingly apt to make objections against such duties, which God speaks of here as a manifestation of the wickedness of their hearts: “Beware that there be not a thought in thy wicked heart,” etc. The warning is very strict. God doth not only say, Beware that thou do not actually refuse to give him, but, Beware that thou have not one objecting thought against it, arising from a backwardness to liberality. God warns against the beginnings of uncharitableness in the heart, and against whatever tends to a forbearance to give. “And thou give him nought, and he cry unto the Lord against thee, and it be sin unto thee.” God warns them, from the guilt which they would be liable to bring upon themselves hereby. We may observe here several enforcements of this duty. There is a reason of this duty implied in God’s calling him that is needy, our brother: “Thou shalt not shut thine hand from thy poor brother.” And Deu. 15:9, “Beware that thine eye be not evil against thy poor brother.” And verse 11, “Thou shalt open thine hand wide to thy brother.” We are to look upon ourselves as related to all mankind, but especially to those who are of the visible people of God. We are to look upon them as brethren, and to treat them accordingly. We shall be base indeed, if we be not willing to help a brother in want. — Another enforcement of this duty is the promise of God, that for this thing he will bless us in all our works, and in all that we put our hands unto; a promise that we shall not lose, but gain by it (Deu. 15:10). — Another is, that we shall never want proper objects of our charity and bounty. Verse 11, “For the poor shall never cease out of thy land.” This God saith to the Jewish church; and the like Christ saith to the Christian church, Mat. 26:11, “The poor ye have always with you.” This is to cut off an excuse that uncharitable persons would be ready to make for not giving, that they could find nobody to give to, that they saw none who needed. God cuts off such an excuse, by telling us, that he would so order it in his providence, that his people everywhere, and in all ages, shall have occasion for the exercise of that virtue. We are commanded, therefore, to give our poor neighbor what is sufficient for his need. There ought to be none suffered to live in pinching want, among a visible people of God, who are able, unless in case of idleness, or prodigality, or some such case which the Word of God excepts. — It is said that the children of Israel should lend to the poor, and in the year of release should release what they had lent, save when there should be no poor among them. It is rendered in the margin, to the end there be no poor among you; i.e. you should so supply the wants of the needy, that there may be none among you in pinching want. This translation seems the more likely to be the true one, because God says, Deu. 15:11, that there shall be no such time when there shall be no poor, who shall be proper objects of charity. — When persons give very sparingly, it is no manifestation of charity, but of a contrary spirit. 2 Cor. 9:5, “Therefore I thought it necessary to exhort the brethren, that they would go before unto you, and make up beforehand your bounty, whereof ye had notice before, that the same might be ready, as a matter of bounty, and not as of covetousness. III. This is a duty to which God’s people are under very strict obligation. It is not merely a commendable thing for a man to be kind and bountiful to the poor, but our bounden duty, as much a duty as it is to pray, or to attend public worship, or anything else whatever. And the neglect of it brings great guilt upon any person. THIS duty is absolutely commanded, and much insisted on, in the Word of God. Where have we any command in the Bible laid down in stronger terms, and in a more peremptory urgent manner, than the command of giving to the poor? We have the same law in a positive manner laid down in Lev. 25:35, etc. “And if thy brother be waxen poor, and fallen in decay with thee, then thou shalt relieve him; yea, though he be a stranger or a sojourner, that he may live with thee.” And at the conclusion of verse 38, God enforces it with saying, I am the Lord thy God. 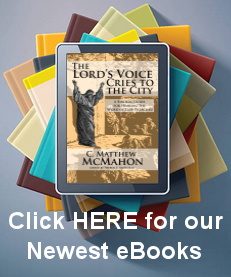 So Christ tells us, it is one of the weightier matters of the law. Mat. 23:23, “Ye have omitted the weightier matters of the law, judgment, mercy, and faith.” The Scriptures again and again teach us that it is a more weighty and essential thing than the attendance on the outward ordinances of worship. Hos. 6:6, “I desired mercy, and not sacrifice;” Mat. 9:13 and 12:7. I know of scarce any duty which is so much insisted on, so pressed and urged upon us, both in the Old Testament and New, as this duty of charity to the poor. II. It is especially reasonable, considering our circumstances, under such a dispensation of grace as that of the gospel. Consider how much God hath done for us, how greatly he hath loved us, what he hath given us, when we were so unworthy, and when he could have no addition to his happiness by us. Consider that silver, and gold, and earthly crowns, were in his esteem but mean things to give us, and he hath therefore given us his own Son. Christ loved and pitied us, when we were poor, and he laid out himself to help, and even did shed his own blood for us without grudging. He did not think much to deny himself, and to be at great cost for us vile wretches, in order to make us rich, and to clothe us with kingly robes, when we were naked; to feast us at his own table with dainties infinitely costly, when we were starving; to advance us from the dunghill, and set us among princes, and make us to inherit the throne of his glory, and so to give us the enjoyment of the greatest wealth and plenty to all eternity. Agreeably to 2 Cor. 8:9, “For ye know the grace of our Lord Jesus Christ, that though he was rich, yet for your sakes he became poor, that ye through his poverty might be rich.” Considering all these things, what a poor business will it be, that those who hope to share these benefits, yet cannot give something for the relief of a poor neighbor without grudging! That it should grieve them to part with a small matter, to help a fellow servant in calamity, when Christ did not grudge to shed his own blood for them! I. Consider that what you have is not your own; i.e. you have only a subordinate right. Your goods are only lent to you of God, to be improved by you in such ways as he directs. You yourselves are not your own. 1 Cor. 6:20, “Ye are not your own, for ye are bought with a price; your body and your spirit are God’s.” And if you yourselves are not your own, so then neither are your possessions your own. Many of you have by covenant given up yourselves and all you have to God. You have disowned and renounced any right in yourselves or in anything that you have, and have given to God all the absolute right. And if you be true Christians, you have done it from the heart. Your money and your goods are not your own. They are only committed to you as stewards, to be used for him who committed them to you. 1 Pet. 4:9, 10, “Use hospitality one to another, as good stewards of the manifold grace of God.” A steward has no business with his master’s goods, to use them any otherwise than for the benefit of his master and his family, or according to his master’s direction. He hath no business to use them, as if he were the proprietor of them. He hath nothing to do with them, only as he is to use them for his master. He is to give everyone of his master’s family their portion of meat in due season. But if instead of that, he hoards up his master’s goods for himself, and withholds them from those of the household, so that some of the family are pinched for want of food and clothing. He is therein guilty of robbing his master and embezzling his substance. And would any householder endure such a steward? If he discovered him in such a practice, would he not take his goods out of his hands, and commit them to the care of some other steward, who should give everyone of his family his portion of meat in due season? Remember that all of us must give account of our stewardship, and how we have disposed of those goods which our Master has put into our hands. And if when our Master comes to reckon with us, it be found that we have denied some of his family their proper provision, while we have hoarded up for ourselves, as if we had been the proprietors of our Master’s goods, what account shall we give of this? II. God tells us, that he shall look upon what is done in charity to our neighbors in want, as done unto him; and what is denied unto them, as denied unto him. Pro. 19:17, “He that hath pity on the poor lendeth to the Lord.” God hath been pleased to make our needy neighbors his receivers. He in his infinite mercy hath so interested himself in their case, that he looks upon what is given in charity to them, as given to himself. And when we deny them what their circumstances require of us, he looks upon it that we therein rob him of his right. Christ teaches us, that we are to look upon our fellow Christians in this case as himself, and that our giving or withholding from them, shall be taken, as if we so behaved ourselves towards him; see Mat. 25:40. There Christ says to the righteous on his right hand, who had supplied the wants of the needy, “In that ye have done it to one of the least of these my brethren, ye have done it unto me.” In like manner he says to the wicked who had not shown mercy to the poor, verse 45, “Inasmuch as ye did it not unto one of the least of these, ye did it not to me.” — Now what stronger enforcement of this duty can be conceived, or is possible, than this, that Jesus Christ looks upon our kind and bountiful, or unkind and uncharitable, treatment of our needy neighbors, as such a treatment of himself? If Christ himself were upon earth, a dwelt among us in a frail body, as he once did, and were in calamitous and needy circumstances, should we not be willing to supply him? Should we be apt to excuse ourselves from helping him? Should we not be willing to supply him so, that he might live free from distressing poverty? And if we did otherwise, should we not bring great guilt upon ourselves? And might not our conduct justly be very highly resented by God? Christ was once here in a frail body, stood in need of the charity, and was maintained by it. Luke 8:2, 3, “And certain women which had been healed of evil spirits and infirmities, Mary called Magdalen, out of whom went seven devils, and Joanna the wife of Chuza, Herod’s steward, and Susanna, and many others, which ministered unto him of their substance.” So he still, in many of his members, needs the charity of others. Second, this very thing is often mentioned in Scripture as an essential part of the character of a godly man. Psa. 37:21, “The righteous showeth mercy, and giveth.” And again, verse 26, “He is ever merciful, and lendeth.” Psa. 112:5, “A good man showeth favour, and lendeth.” And verse 9, “He hath dispersed, and given to the poor.” So Pro. 14:31, “He that honoureth God, hath mercy on the poor.” Again, Pro. 21:26 and Isa. 57:1. A righteous man and a merciful man are used as synonymous terms: “The righteous perisheth, and merciful men are taken away,” etc. 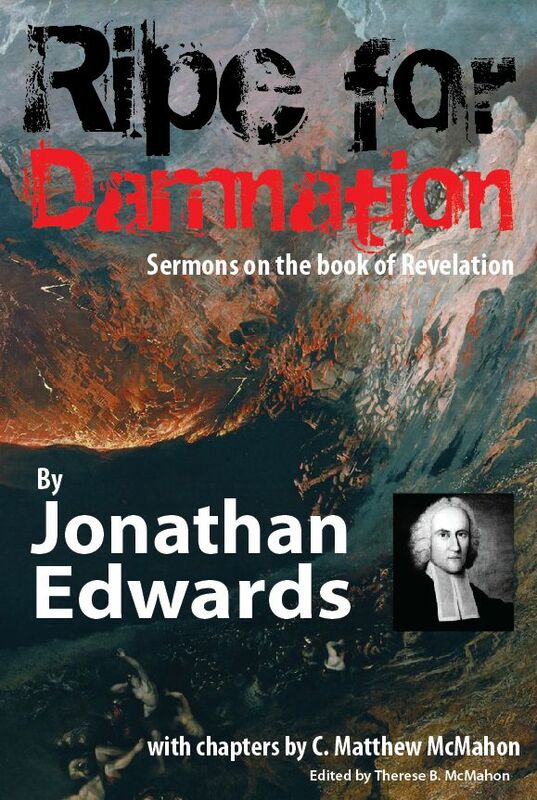 Third, Christ teaches that judgment will be past at the great day according to men’s works in this respect. This is taught us by Christ in the most particular account of the proceedings of that day, that we have in the whole Bible. See Mat. 25:34, etc. It is evident that Christ thus represented the proceedings and determinations of this great day, as turning upon this one point, on purpose, and on design to lead us into this notion, and to fix it in us, that a charitable spirit and practice towards our brethren is necessary to salvation. Many persons are ready to look upon what is bestowed for charitable uses as lost. But we ought not to look upon it as lost, because it benefits those whom we ought to love as ourselves. And not only so, but it is not lost to us, if we give any credit to the Scriptures. See the advice that Solomon gives in Ecc. 11:1, “Cast thy bread upon the waters, for thou shalt find it after many days.” By casting our bread upon the waters, Solomon means giving it to the poor, as appears by the next words, “Give a portion to seven, and also to eight.” Waters are sometimes put for people and multitudes. Giving to our needy brethren is in Scripture called laying up treasure in heaven, in bags that wax not old. Luke 12:33, “Sell what ye have and give alms, provide for yourselves bags that wax not old, a treasure in the heavens that faileth not, where no thief approacheth, nor moth corrupteth.” Men, when they have laid up their money in their chests, do not suppose that they have thrown it away. But, on the contrary, that it is laid up safe. Much less is treasure thrown away, when it is laid up in heaven. What is laid up there is much safer than what is laid up in chests or cabinets. When men give to the needy, they do as it were sow seed for a crop. When men sow their seed, they seem to throw it away. Yet they do not look upon it as thrown away because, though they expect not the same again, yet they expect much more as the fruit of it. And if it be not certain that they shall have a crop, yet they are willing to run the venture of it; for that is the ordinary way wherein men obtain increase. So it is when persons give to the poor. Though the promises of gaining thereby, in our outward circumstances, perhaps are not absolute; yet it is as much the ordinary consequence of it, as increase is of sowing seed. Giving to the poor is in this respect compared to sowing seed, in Ecc. 11:6, “In the morning sow thy seed, and in the evening withhold not thine hand: for thou knowest not whether shall prosper, either this or that, or whether they both shall be alike good.” By withholding the hand, the wise man means not giving to the poor (see verse 1, 2). It intimates, that giving to the poor is as likely a way to obtain prosperity and increase, as sowing seed in a field. It is easy with God to make up to men what they give in charity. Many but little consider how their prosperity or ill success in their outward affairs depends upon Providence. There are a thousand turns of Providence, to which their affairs are liable, whereby God may either add to their outward substance, or diminish from it, a great deal more than they are ordinarily called to give to their neighbors. How easy is it with God to diminish what they possess by sickness in their families, by drought, or frost, or mildew, or vermin; by unfortunate accidents, by entanglements in their affairs, or disappointments in their business! And how easy is it with God to increase their substance, by suitable seasons, or by health and strength; by giving them fair opportunities for promoting their interest in their dealings with men; by conducting them in his providence, so that they attain their designs; and by innumerable other ways which might be mentioned! How often is it, that only one act of providence in a man’s affairs either adds to his estate, or diminishes from it, more than he would need to give to the poor in a whole year. God hath told us that this is the way to have his blessing attending our affairs. Thus, in the text, Deu. 15:10, “Thou shalt surely give him, and thine heart shall not be grieved when thou givest unto him; because that for this thing the Lord thy God shall bless thee in all thy works, and all that thou puttest thine hand unto.” And Pro. 22:9, “He that hath a bountiful eye, shall be blessed.” It is a remarkable evidence how little many men realize the things of religion, whatever they pretend; how little they realize that the Scripture is the Word of God, or if it be, that he speaks true; that notwithstanding all the promises made in the Scripture to bounty to the poor, yet they are so backward to this duty, and are so afraid to trust God with a little of their estates. Observation may confirm the same thing which the Word of God teaches on this head. God, in his providence, generally smiles upon and prospers those men who are of a liberal, charitable, bountiful spirit. Sixth, God hath threatened to follow with his curse those who are uncharitable to the poor; as Pro. 28:27, “He that giveth to the poor shall not lack; but he that hideth his eyes, shall have many a curse.” It is said, he that hideth his eyes, because this is the way of uncharitable men. They hide their eyes from seeing the wants of their neighbor. A charitable person, whose heart disposes him to bounty and liberality, will be quick-sighted to discern the needs of others. They will not be at any difficulty to find out who is in want. They will see objects enough of their charity, let them go whither they will. But, on the contrary, he that is of a niggardly spirit, so that it goes against the grain to give anything, he will be always at a loss for objects of his charity. Such men excuse themselves with this, that they find not anyone to give to. They hide their eyes, and will not see their neighbor’s wants. If a particular object is presented, they will not very readily see his circumstances. They are a long while in being convinced that he is an object of charity. They hide their eyes. And it is not an easy thing to make them sensible of the necessities and distresses of their neighbor, or at least to convince them, that his necessities are such that they ought to give him any great matter. 2. If ever there should be such a time, your kindness to others now will be but a laying up against such a time. If you yourselves should be brought into calamity and necessity, then would you find what you have given in charity to others, lying ready in store for you. Cast thy bread upon the waters, and thou shalt find it after many days, says the wise man. But when shall we find it? He tells us in the next verse; “Give a portion to seven, and also to eight; for thou knowest now what evil shall be upon the earth.” Then is the time when you shall find it, when the day of evil cometh. You shall again find your bread which you have cast upon the waters, when you shall want it most, and stand in greatest necessity of it. God will keep it for you against such a time. When other bread shall fail, then God will bring to you the bread which you formerly cast upon the waters, so that you shall not famish. He that giveth to the poor shall not lack. Whether the time will ever come or not, that we or our children shall be in distressing want of bread; yet doubtless evil will be on the earth. We shall have our times of calamity, wherein we shall stand in great need of God’s pity and help, if not of that of our fellow creatures. And God hath promised that at such a time, he that hath been of a charitable spirit and practice, shall find help. Psa. 41:1-4, “Blessed is he that considereth the poor; the Lord will deliver him in time of trouble. The Lord will preserve him, and keep him alive, and he shall be blessed upon the earth; and thou wilt not deliver him unto the will of his enemies. The Lord will strengthen him upon the bed of languishing: thou wilt make all his bed in his sickness.” Such as have been merciful and liberal to others in their distress, God will not forget it, but will so order it, that they shall have help when they are in distress. Yea, their children shall reap the fruit of it in the day of trouble. Second, your objection carries it thus, that it is not best for you to do as God commands and counsels you to do. We find many commands in Scripture to be charitable to the poor. The Bible is full of them; and you are not excepted from those commands. God makes no exception of any particular kinds of persons that are especially in danger of making a righteousness of what they do. And God often directs and counsels persons to this duty. Now will you presume to say that God has not directed you to the best way? He has advised you to do thus, but you think it not best for you, but that it would do you more hurt than good, if you should do it. You think there is other counsel better than God’s, and that it is the best way for you to go contrary to God’s commands. First, perhaps you looked out for the fulfillment of the promise too soon, before you had fulfilled the condition. As particularly, perhaps you have been so sparing and grudging in your kindness to the poor, that what you have done has been rather a discovery of a covetous, niggardly spirit, than of any bounty or liberality. The promises are not made to every many who gives anything at all to the poor, let it be ever so little, and after what manner soever given. You mistook the promises, if you understood them so. A man may give something to the poor, and yet be entitled to no promise, either temporal or spiritual. The promises are made to mercy and liberality. But a man may give something, and yet be so niggardly and grudging in it, that what he gives may be, as the apostle calls it, a matter of covetousness. What he does may be more a manifestation of his covetousness and closeness, than anything else. But there are no promises made to men’s expressing their covetousness. Third, how can you tell what blessings God hath yet in reserve for you if you do but continue in well-doing? Although God hath promised great blessings to liberality to the poor, yet he hath not limited himself as to the time of the bestowment. If you have not yet seen any evident fruit of your kindness to the poor, yet the time may come when you shall see it remarkably, and that at a time when you most stand in need of it. You cast your bread upon the waters, and looked for it, and expected to find it again presently. And sometimes it is so. But this is not promised. It is promised, “Thou shalt find it again after many days.” God knows how to choose a time for you, better than you yourselves. You should therefore wait his time. If you go on in well-doing, God may bring it to you when you stand most in need. It may be that there is some winter a-coming, some day of trouble. And God keeps your bread for you against that time. And then God will give you good measure, and pressed down, and shaken together, and running over. We must trust in God’s Word for the bestowment of the promised reward, whether we can see in what manner it is done or no. Pertinent to the present purpose are those words of the wise man in Ecc. 11:4, “He that observeth the winds shall not sow; and he that regardeth the clouds shall not reap.” In this context the wise man in speaking of charity to the poor, and comparing it to sowing seed; and advises us to trust Providence for success in that, as we do in sowing seed. He that regardeth the winds and clouds, to prognosticate thence prosperity to seed, and will not trust Providence with it, is not like to sow, nor to have bread-corn. So he that will not trust Providence for the reward of his charity to the poor is [likely] to go without the blessing. After the words now quoted, follows his advice, Ecc. 11:6, “In the morning sow thy seed, and the evening withhold not thine hand; for thou knowest not whether shall prosper, either this or that, or whether they both shall be alike good.” — Therefore (Gal. 6:9) “Let us not be weary in well doing, for in due season we shall reap, if we faint not.” You think you have not reaped yet. Whether you have or not, go on still in giving and doing good; and if you do so, you shall reap in due time. God only knows the due time, the best time, for you to reap. First, we are commanded to love and treat one another as brethren. 1 Pet. 3:8, “Have compassion one of another; love as brethren; be pitiful.” Now is it the part of brethren to refuse to help one another, and to do anything for each other’s comfort, and for the relief of each other’s difficulties, only when they are in extremity? Doth it not become brothers and sisters to have a more friendly disposition one towards another, than this comes to? And to be ready to compassionate one another under difficulties, though they be not extreme? The rule of the gospel is that when we see our brother under any difficulty or burden, we should be ready to bear the burden with him. Gal. 6:2, “Bear ye one another’s burdens, and so fulfil the law of Christ.” So we are commanded, “by love to serve one another,” Gal. 5:13. The Christian spirit will make us apt to sympathize with our neighbor, when we see him under any difficulty. Rom. 12:15, “Rejoice with them that do rejoice, and weep with them that weep.” When our neighbor is in difficulty, he is afflicted; and we ought to have such a spirit of love to him, as to be afflicted with him in his affliction. And if we ought to be afflicted with him, then it will follow that we ought to be ready to relieve him. Because if we are afflicted with him, in relieving him, we relieve ourselves. His relief is so far our own relief, as his affliction is our affliction. Christianity teaches us to be afflicted in our neighbor’s affliction. And nature teaches us to relieve ourselves when afflicted. We should behave ourselves one towards another as brethren that are fellow travelers. For we are pilgrims and strangers here on earth, and are on a journey. Now, if brethren be on a journey together, and one meet with difficulty in the way, doth it not become the rest to help him, not only in the extremity of broken bones, or the like, but as to provision for the journey if his own fall short? It becomes his fellow travelers to afford him a supply out of their stores, and not to be over nice, exact, and fearful lest they give him too much: for it is but provision for a journey. And all are supplied when they get to their journey’s end. But we are obliged to relieve persons in want, notwithstanding these things, both by the general and particular rules of God’s Word. 1. That of loving our neighbor as ourselves. A man may be our neighbor, though he be an ill sort of man, and even our enemy, as Christ himself teaches us by his discourse with the lawyer, Luke 10:25, etc. A certain lawyer came to Christ, and asked him, what he should do to inherit eternal life? Christ asked him, how it was written in the law? He answers, “Thou shalt love the Lord thy God with all thy heart, and all thy soul, and with all thy strength, and with all thy mind; and thy neighbour as thyself.” Christ tells him, that if he shall do thus, he shall live. But then the lawyer asks him, who is his neighbor? Because it was received doctrine among the Pharisees, that no man was their neighbor, but their friends, and those of the same people and religion. — Christ answers him by a parable, or story of a certain man, who went down from Jerusalem to Jericho, and fell among thieves, who stripped him of his raiment, and wounded him, and departed from him, leaving him half dead. Soon after there came a priest that way, who saw the poor man that had been thus cruelly treated by the thieves; but passed by without affording him any relief. The same as done by a Levite. — But a certain Samaritan coming that way, as soon as he saw the half-dead man, had compassion on him, took him up, bound up his wounds, set him on his own beast, carried him to the inn, and took care of him, paying the innkeeper money for his past and future expense. And promising him still more, if he should find it necessary to be at more expense on behalf of the man. First, this is Nabal’s objection, for which he is greatly condemned in Scripture; see 1 Sam. 25. David in his exiled state came and begged relief of Nabal. Nabal objected, 1 Sam. 25:10, 11, “Who is David? And who is the son of Jesse? There be many servants now-a-days that break away every man from his master. Shall I then take my bread and my water, and my flesh that I have killed for my shearers, and give it unto men, whom I know not whence they be?” His objection was, that David was a stranger to him. He did not know who he was, nor what his circumstances were. He did not know but that he was a runaway. And he was not obliged to support and harbor a runaway. He objected, that he knew not that he was a proper object of charity; that he knew not but that he was very much the contrary. But Abigail no way countenanced his behavior herein, but greatly condemned it. She calls him a man of Belial, and says that he was as his name was. Nabal was his name, and folly was with him. And her behavior was very contrary to his. And she is greatly commended for it. The Holy Ghost tells us in that chapter, 1 Sam. 25:3, that “she was a woman of a good understanding.” At the same time God exceedingly frowned on Nabal’s behavior on this occasion, as we are informed that about ten days after God smote Nabal that he died, verse 38. Second, we are commanded to be kind to strangers whom we know not, nor their circumstances. This is commanded in many places. But I shall mention only one. Heb. 13:2, “Be not forgetful to entertain strangers; for thereby some have entertained angels unawares.” By strangers here the apostle means one whom we know not, and whose circumstances we know not; as is evident by these words, “for thereby some have entertained angels unawares.” Those who entertained angels unawares, did not know the persons whom they entertained, nor their circumstances. Else how could it be unawares? ANS. We ought to relieve those who are in want though brought to it through others’ fault. If our neighbor be poor, though others be to blame that it is so, yet that excuses us not from helping him. If it belong to others more than to us, yet if those others will neglect their duty, and our neighbor therefore remains in want, we may be obliged to relieve him. If a man be brought into straits through the injustice of others, suppose by thieves or robbers, as the poor Jew whom the Samaritan relieved; yet we may be obliged to relieve him, though it be not through our fault that he is in want, but through that of other men. And whether that fault be a commission or a neglect alters not the case.